Our Cuckoo in the Nest Trail will see “out of place” items hidden in businesses throughout the town centre. A free chocolate egg will be given at either Costa Coffee in the Piazza Shopping Centre or the Co-op in the Paisley Centre for each child who can show a completed trail form before it’s posted into the designated post-box for our grand draw at the end of the trail. 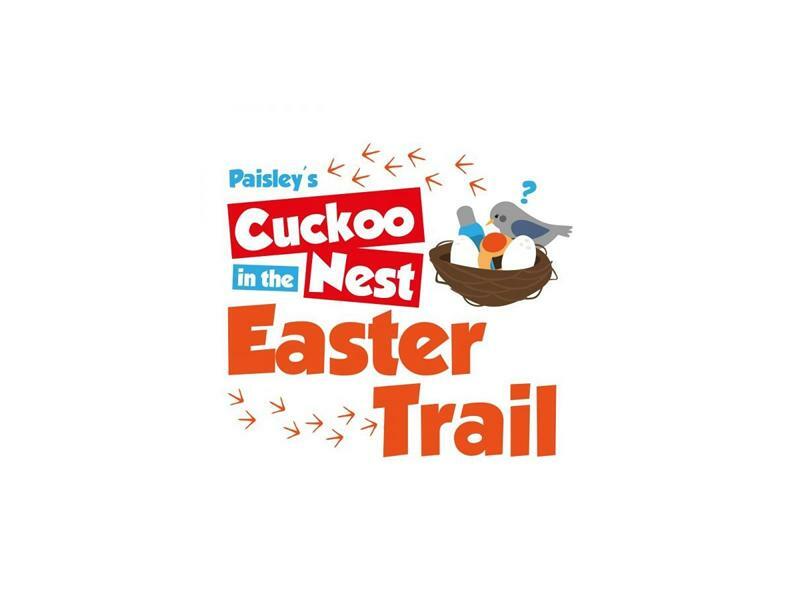 While we take every opportunity to ensure the details for Paisley’s Cuckoo in the Nest Easter Trail are accurate, we always advise that you contact the event organiser before setting out for the event to avoid disapointment.